The surgery on Dad's carotid artery was on Wednesday and seems to have been a success. The tough part now will be getting him to stay quiet for the next two weeks until he gets clearance from the doctor to go back to work! Tara's new meds seem to be making her feel better *knocks on wood* so for the time being my family seems to be patched back together again. Thanks to Remote Desktop I've been able to work from home and the hospital this week so I don't have the added stress of falling behind. Happy Easter everyone! We're having a beautiful sunny weekend with temps in the 50's here in Vermont! I am truly blessed to live in the San Francisco Bay Area. Not only are we gifted with incredible natural beauty, but the area thrives in cultures and people from around the world. Microclimates give each town or city their own special flavor. 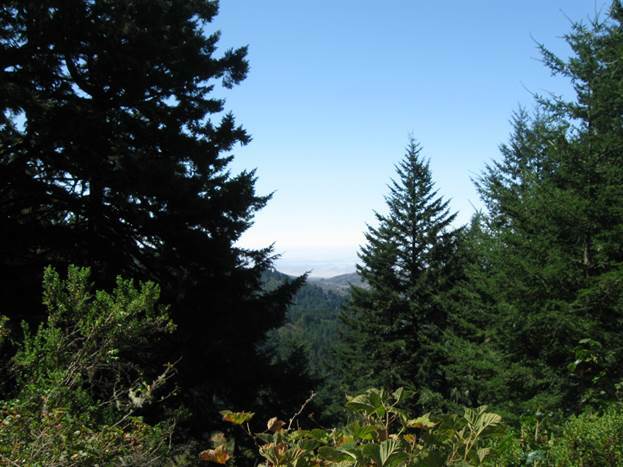 You can go from the university town of Stanford straight into the redwood groves of rustic La Honda in less than a half an hour. There are industrialized zones tucked near historical areas, ethnic conclaves among glittering glass high tech office buildings, salt marshes, riverbeds, seashores, and estuaries all within a forty mile radius. Plenty of incredible settings for a bookshelf of novels. My contemporary novels, Broken Build and Hidden Under Her Heart are set in this fascinating area. Broken Build is a Silicon Valley Romantic Suspense. I draw on my experience as a software engineer in a high tech firm with its strips of parking lots and shuttered dot.com buildings. It was easy for me to visualize every scene from Jen’s ghetto two-level apartment with bars on the windows to the CEO hangouts, upscale restaurants and tree-lined estates of Atherton and Saratoga. 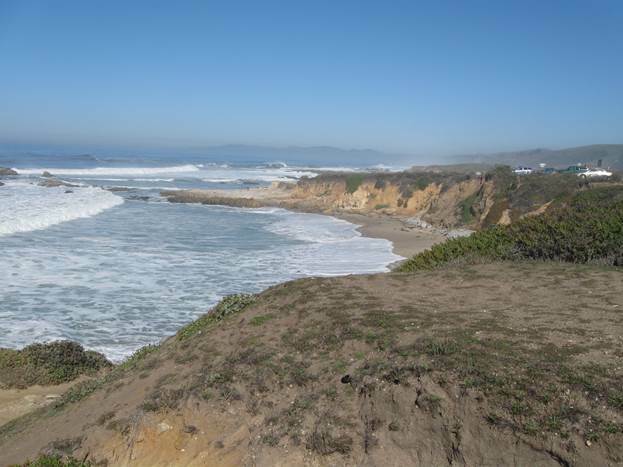 A simple day trip confirmed the site of Dave and Jen’s Santa Cruz kissing scene, although I enhanced the scenery and privacy available, adding a few cypresses and a more private cliff-side bench location. Hidden Under Her Heart draws more on the fantastic Bay Area with trips to Pescadero State Beach and Purisima Redwood Creek Open Space Preserve. My daughter and I hiked both places, and yes, she did do it in flip-flops! The trails were well-maintained, dry and shaded. After the hike, we drove down Highway 92 toward Half Moon Bay and stopped at the small shops and boutiques along the strip just past the Christmas tree farms. In the story, Maryanne and Lucas make glass pieces, a heart and a pumpkin. And guess what? There is an actual place where you too, can take a class and make a glass object. 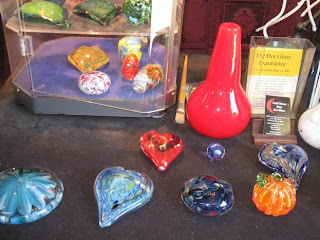 Half Moon Bay Art Glass is located in the parking lot of La Nebbia Winery. My daughter made the green speckled pumpkin that became Maryanne’s and I made the swirly purple-red heart that Lucas made in the story. My first draft included all the detail of how it works, but my editor and critique partners said it was too much. Directly experiencing settings and events is a fun way to add realism to my stories. How about you? Are there things you have done after reading about them in a novel? Have you ever done things just so you can write about them? Would you go sky diving to experience the thrill or do you prefer to let your imagination fly? Bio: Rachelle Ayala is the author of dramatic fiction crossing genres and boundaries featuring strong but flawed characters. 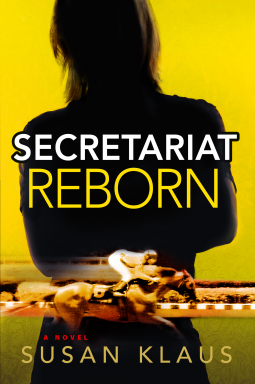 She writes emotionally challenging stories and is not afraid of controversial topics. However, she is an optimist and laces her stories with romance and hope. Rachelle is currently working on a romantic suspense that touches on disability. She is a very happy woman and lives in California with her husband. She has three children and has taught violin and made mountain dulcimers. Visit her at: Website: http://rachelleayala.me Blog: http://www.rachelleayala.com or follow @AyalaRachelle on Twitter. Tell me about HEAD CASE...what was the inspiration for the book? First off, thank you so much for hosting me! I really hope you enjoy HEAD CASE. It was a lot of fun to write and (hopefully!) it’s a lot of fun to read! It’s hard to sum up the book in a catchy sentence (I know! I need to be able to do that! ), but the thirty second elevator pitch is that HEAD CASE is a comic mystery about trafficking psychopharmaceutical medication. But of course it’s about much more than that. Sure, there are deranged mobsters, drug-dealing grandmothers, movie stars, greedy pharmaceutical executives and a number of other colorful characters, but at its heart, HEAD CASE is really about a friendship. Only in this case, one of the friends—the narrator—is the ghost of a murder victim. Olivia, the ghost, is trying to figure out both how she was murdered, and in doing so, how her relationship with her best friend had fallen apart. It’s her investigation of her own murder that become the narrative. One of my friends said HEAD CASE is like a mystery mashup of Prozac Nation and Bridget Jones Diary, which makes me laugh because there is probably some truth there. I think that I always wanted to be a writer, but I just didn’t know it. I co-wrote a novel with my best friend when I was eight (the title was It’s Nice to Be Together and it featured a “together monster” as the central character), but it wasn’t until my late twenties that I really started to embrace the idea of becoming a professional author. Now, being an author is a huge part of my identity. When my son was in kindergarten, he wrote me a card that said (his spelling) “my mom is a good mom bcus she rote books.” I love that! I read! I tend to read a few books at once, hopping around between them depending on my mood or mental agility at the moment. I also love (in no particular order) skiing, yoga, chatting with friends, playing board games with my kids, having date night with my husband and taking long naps (especially if I can snuggle with my kids at the same time). Skiing in South America in July. Learning to play the piano well enough that I could do it in public. Finish reading War and Peace. Mostly, I tend to be a kind of “love the one you’re with” person as far as books and fictional characters are concerned. Right now I’m reading and loving The Museum of Innocence, by Orhan Pamuk, although in truth I don’t really love the main character. He’s a bit of a creep. That said, if I have to choose (and I suppose I do! ), I have a great interest in Raskolnikov from Crime and Punishment. He sort of makes a cameo in HEAD CASE, in the form of the name of a beloved animal. Although, beyond the name, they have nothing in common. I also adore Isabel Spellman of Lisa Lutz’s Spellman series, who is about as different from Raskolnikov as it gets. A couple of week’s ago I wouldn’t have been able to answer this question, but an idea I’ve been toying with for a long time has just started to come together. It’s about a writer who is trying to balance writing, her day job and family life—but she’s lost her creative mojo. 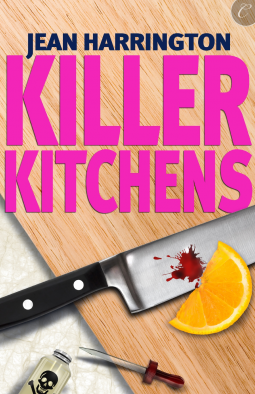 To get inspiration, she starts to re-read some of her favorite murder scenes from literary history, and those fictional events start to influence what is happening on the pages she is writing—as well as events in real life around her. Can you tell us a little about Torch in the Forest? Thank you for inviting me, Melissa! Sure, I'd love to. Eighteen-year-old widow Eleanor of Strathcombe is stunned to realize she has a powerful attraction to Hugh of Wykeham, the arrogant, neighboring lord returned from the Crusade, who not only asks for the hand of her younger sister in marriage – but feuds with her over the control of their forest boundaries, because poachers are running rampant. As she struggles to keep control of her forests and find the poachers, unsettling feelings confront her when she deals with Hugh, feelings she never felt in her brief, loveless marriage -- feelings she tries to fight, because she knows Hugh to be a cold, harsh man who may have murdered his faithless wife in revenge -- and who trusts no woman. When she finds herself in the midst of a net of intrigue and lies, how can she find the conspirators, save herself and her sister, and battle her feelings for Hugh? How did you come to be a part of Entangled's new Scandalous line? I'd been reading about Entangled's phenomenal success and their great editors, some of whom had rejected me when they worked for other imprints. [Symbol] I wanted to submit my romance to them, because I knew the editing would be wonderful and their marketing was top-drawer. 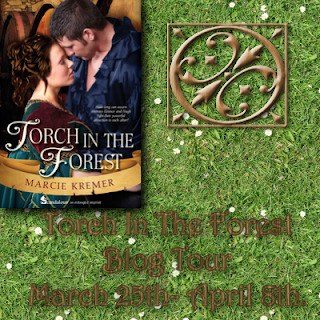 Luckily, TORCH was acquired, much to my joy! What kind of research goes into the writing of your historicals? Because I was a medieval history major, I had some basic knowledge, but, in order to write about daily life in 1272, I had to do a lot more research. Reading primary sources and secondary sources and using the internet, I was able to find lots of important details, such as, how did they fasten clothes (not with zippers, but with lacing, tying, and pins), where did they store their clothes (in chests, no closets) how often and how did they bathe (not often! ), and how they managed mealtimes (oh, those shared goblets – ick!). Accuracy is very important to me, as it is to all authors of historicals. There's nothing worse than an anachronism, such as Eleanor checking her watch to see what time it is, for example, that pops out and surprises the reader, blowing the whole story out of the water! Why are historicals your chosen genre? As an author, I love to journey to other times, and, because I'm a medieval history nut, this time period is perfect for me. When I grew up in Europe, I saw castles on a daily basis, and I always wanted to live in one, so writing historicals allows me to do just that! Traveling to Europe and visiting castles, even staying in them, such as in Spain's fabulous paradors, is always a real inspiration to write about that time period. It's such fun to imagine what the people were like, what they feared, and what they hoped for and dreamed about, just as Eleanor and Hugh dream of each other, despite the fact they're sworn enemies. Do you have any advice for an aspiring writer? A lot of us authors know how important it is to be open-minded about our own work and be willing to revise, revise, and revise again. I read somewhere that an editor acquires a manuscript something like we buy a house: the basic plan is good, but, if we took down a wall here to enlarge a great room, added a powder room off the foyer, exposed the beams in the ceiling…well, you get the idea. Aspiring writers should take heart and keep at it, remembering to stay true to their vision, but, also, be willing to rethink and change. How many times have I put a manuscript away and taken it out later, only to ask myself, "What was I thinking?" Ellen Kozak wrote the First Commandment for Writers: "Thou Shalt Not Fall In Love With Thine Own Words." I love that! What are some of your favorite books/authors? I love Julia Quinn and Georgette Heyer, and Hilary Mantel writes absolutely stunning books. How I wish I'd be able to write as she does. Anything you'd like to reveal about yourself that your readers might find surprising? I love country music; the music is wonderful and the lyrics are so much fun…. Yes, it might seem at first glance that country music doesn't quite fit in with Lady Eleanor and Lord Hugh in 1272, but, think of songs like Rascal Flatts's "God Bless the Broken Road That Led Me Straight to You" – and that’s Eleanor's and Hugh's story in a nutshell! What are you working on now? I'm working on a young adult novel about girl soccer players and their crushes on (gasp!) older men….It's obviously not a historical! Eighteen-year-old widow Eleanor of Strathcombe is stunned to realize she has a powerful attraction to Hugh of Wykeham, the arrogant, neighboring lord returned from the Crusade, who not only asks for the hand of her younger sister in marriage – but feuds with her over the control of their forest boundaries, because poachers are running rampant. As she struggles to keep control of her forests and find the poachers, unsettling feelings confront her when she deals with Hugh, feelings she never felt in her brief, loveless marriage -- feelings she tries to fight, because she knows Hugh to be a cold, harsh man who may have murdered his faithless wife in revenge -- and who trusts no woman. When she finds herself in the midst of a net of intrigue and lies, how can she find the conspirators, save herself and her sister, and battle her feelings for Hugh? Growing up in Europe and seeing castles on a daily basis made me sure I wanted to live back in the Middle Ages. Since that wasn’t likely to happen, being a child of the 20th century, the next best thing I could try to do was to write about this enthralling period in history. 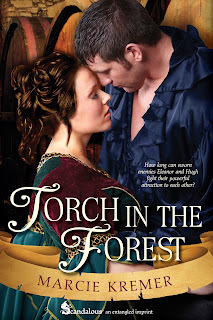 Having studied medieval history in college, I loved doing the research about how people really lived and spoke and dreamed and loved, and so TORCH IN THE FOREST came to be, thanks to my dear husband, who encouraged me to write about Eleanor and Hugh. When I’m not writing, I’m reading, or traveling. I love hearing from readers and am happy to do book club conference calls! Blurb: Underachiever Minette "Mini" Monroe has long dreamt of how much better life would be if only she were in charge of the world, said world being the independent bookstore in Westport, CT, where she's worked for the past half dozen years. After her beloved boss Colin Quimby is murdered, Mini gets her wish and also gets a chance to solve the case, aided by hot young Officer Michael "Mickey" Maus. Despite his unfortunate nickname - would any woman really voluntarily become part of Mini and Mickey Maus? - Mini takes a shine to him, but there's no real time for romance, not when Mini has her hands full dealing with Colin's viper's nest full of ex-wives, offspring, former business partners and current business rivals, all of whom had good reason to want to see Colin dead. Who will turn out to be the guilty party? The only way to find out is to read WAITING FOR DEAD MEN'S SHOES, a madcap comedic novel that proves that the Shakespeare Unabridged Globe and the Oxford English Dictionary are still a girl's best weapons. My Review: Mini is a young woman with a powerhouse personality in a small body. An employee at Read, Drink and Be Merry: A Fine Book Salon and Coffee Emporium, she seems to be the only one who cares when her boss is brutally murdered on Black Friday. The suspect list is endless as the victim seemed to have had an argument with everyone that day. Mini's comfortable little world starts looking a bit iffy depending on who in Colin's inner circle takes over ownership of the store, and who his killer is! Many times this little lady had me laughing out loud with her inner thoughts, and I really hope Mini's adventures will continue in her very own series! Tell us about Waiting for Dead Men's Shoes. What inspired Mini Monroe?I spent 11 years, from 1983-1994, working at an independent bookseller in Westport, CT. 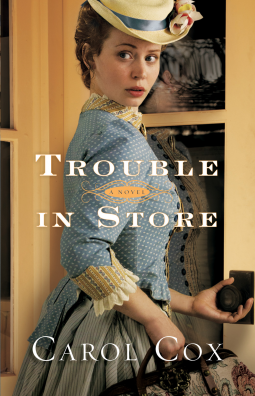 So naturally, when I set my hand to writing my first novel, like many before me, I wrote a wish-fulfillment story: in this case, about a wisecracking bookstore clerk who thinks the store and the whole world would be a better place if only she were in charge of everything; she gets her chance to run everything - and solve the crime! - when her beloved boss is murdered. Let me say here, for the record, that I never wished for the demise of my own boss. The name Minette "Mini" Monroe comes from: Minette, for Minette Walters, a mystery writer whose first name I've always liked; Mini as a nickname, because she's so short; Monroe for the town in CT where I grew up. Is this going to be a series?It could be! I always dreamed of writing more Mini Monroe books, but only time will tell. In other words, if enough people like the first and want more, I'll write more! I'm very easy that way. Who are the kitties on the cover?Skook is the white one, Milo is the black one. I once had cats with those names who looked like that and Mini does too. What do you have for pets?A tiger cat named Yoyo. He's very smart. I understand you used to be a bookseller. What are some of you favorite books/authors?Favorite adult novel from a dead author: The Great Gatsby, by F. Scott Fitzgerald. Favorite adult novel from a live author: Love in the Time of Cholera, by Gabriel Garcia Marquez. Favorite recent YA novel: Fault in Our Stars, by John Green. Favorite series mystery author: Martha Grimes. Favorite children's author: Roald Dahl. How many books are in your TBR pile?Like grains of sand on the beach, too many to count. OK, maybe not that many, but it is a lot - a real teetering menace! What is your favorite spot to read?Anywhere. I am an indiscriminate reader, when it comes to location. I've been known to whip out a book while waiting in a long line. Finish the sentence - one book I wish I had written is...The Great Gatsby - it really is the perfect novel. And, since I couldn't do that, I did the next best thing: I wrote a contemporary re-visioning of it called Z: A NOVEL about a writer who returns home to Danbury where she meets and falls in love with a window washer who just might be Zorro. The biggest differences between my version and Fitzgerald's: there's comedy as well as drama in mine and no one dies in the swimming pool. Well, and his version is great while mine has, you know, Zorro. Blurb: A weekend competition turns deadly in this seventh Raine Stockton Dog Mystery. Dog trainer Raine Stockton and her happy-go-lucky golden retriever Cisco have been looking forward the opening weekend of AKC competitive agility all winter. They travel to the low country of South Carolina to compete against some of the top dogs in the southeast for blue ribbons, squeaky toys, and perhaps even that elusive title of High in Trial. But even in this carefree atmosphere of high-spirited dogs and dedicated owners ambition runs high, and when one of the competitors is found brutally murdered it begins to look as though corruption might have penetrated even this last bastion of decency and sportsmanship, the AKC. 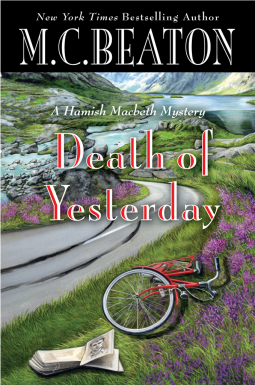 While Raine and Cisco stalk a killer, a twenty-year old mystery is unfolding back home that will have devastating consequences for Raine and those she loves, and every hour that passes brings a deadly threat closer. My Review: My only complaint about any of the books in this series is that they end and the wait for the next Raine and Cisco story is endless. For 7 years now they have held a significant portion of my mystery loving heart. The majority of High in Trial takes place at an AKC sanctioned agility trial in South Carolina. Before the weekend is over Raine faces the murder of a fellow competitor while back home in North Carolina, her ex Buck is investigating a 20 year old mystery involving secrets in Raine's family that will change her life forever. Each chapter opens with the number of hours until "the shooting", making this a heart-pounding read with an ending that left me breathless. 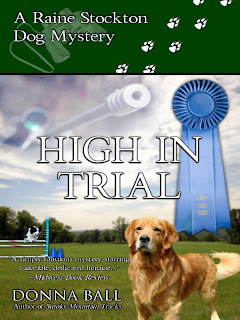 Every book in this series is a blue ribbon winner that makes me want to adopt a pup and hit the agility ring! I received a copy of this book from the author in exchange for a review. My Review: The writing team of Jim and Joyce Lavene (under the pen name JJ Cook) have created a wonderful new Southern cozy series - the Sweet Pepper Fire Brigade Series - set in the Great Smokey Mountains of Tennessee. Stella has left a cheating boyfriend behind in Chicago to start up a fire brigade in Sweet Pepper - not knowing there is an ulterior motive behind her being chosen for the job. When her good friend Tory dies in what appears to be an accidental house fire, Stella suspects arson and murder, especially when she discovers suspicious fires have haunted the woman for years. Aided by the ghost of the former fire chief Eric Gamlyn, Stella attempts to sniff out a killer while weeding through the townsfolk's secrets, including a few right in her own family! There are so many questions left unanswered by the end of this book that the wait for book #2 is going to be a killer. Stella and Eric have developed a surprisingly touching relationship, and are a crime-solving duo to be reckoned with. J. J. Cook is a pseudonym for authors Joyce and Jim Lavene who write award-winning, bestselling mystery fiction. They have written and published more than 60 novels for Harlequin, Berkley, Amazon and Gallery Books along with hundreds of non-fiction articles for national and regional publications. They live in rural North Carolina with their family. Visit them at www.joyceandjimlavene.com. I've already exhausted my maximum possible entries. I'm in love with that pink tote and pen!!! 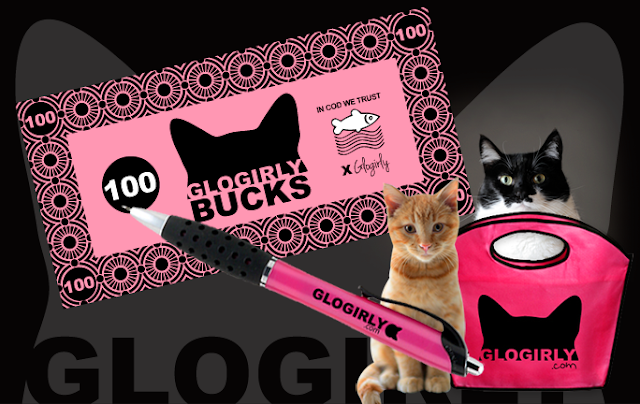 And my mind is swimming with what I could do with $100 in Glogirly Design Bucks!!! Business cards, blog swag...the possibilities are endless! Find out how you can enter here. This was officially the week from hell. On Wednesday I took my Dad to the emergency room because he was experiencing numbness/tingling in his leg. An MRI revealed a 75% blockage on the right side of his carotid artery and he suffered a minor stroke. It really was a blessing because without the warning signs it could've been a big one. This Wednesday he's scheduled to have the artery opened up and the plaque cleaned out. After a couple weeks recovery I'm hoping everything will be back to normal for him. At the same time I had to call Tara's cardiologist to see if he could fit her in because she was experiencing some respiratory distress. He removed 100 mL of fluid from her chest and started her on another medication. She still isn't acting herself but I'm praying this is just a bump and she bounces back. I think falling apart family members should be considerate and take turns, don't you??? Angel Gone Bad is second in my Gone Bad Series set during the 1880s in Texas and Indian Territory (Oklahoma). I was inspired by the fact that “G.T.T.” was once widely known to mean “Gone to Texas.” Those letters were frequently found scrawled on doors in the South, Midwest, and East, and those folks were simply gone. And many of them, gone bad. That idea led to the title for my Gone Bad Series. Another inspiration for this series was the paranormal interest that was part of society at that time. Native American mysticism was also still practiced in their cultures. In Lady Gone Bad, Sharlot hears danger warnings in her head. In Angel Gone Bad, Crystabelle is a card reader. In Bride Gone Bad, Tempest speaks with ghosts. The front door was flung open. Boot heels rang out against the wood floor. Spurs jingled an angry tune. Angel stopped in shock, looking up from her book and over the heads of her audience. 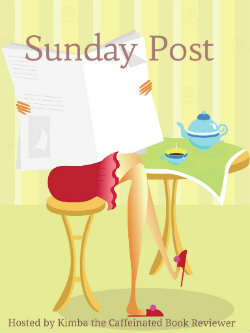 A sea of hats swiveled as the ladies turned to see who had the nerve to interrupt the quiet Sunday afternoon. Gasps of surprise filled the store. “You may call yourself Angelica, but you’re sure as hell no angel,” the stranger said in a deep voice with the lilting cadence of a Northman. Heads turned from the intruder back toward the author. Embarrassed titters filled the room as the ladies pressed white handkerchiefs to their lips as if to hold in their excitement. Angel felt her breath catch in her throat. Her greatest fear had just stepped through the doorway. She’d never expected to see Rune Wulfsson again, not after what she’d done to him. If he was here, he’d been released from jail and hunted her down for one reason and one reason only. Revenge. She felt her blood run cold. He was a formidable opponent. He knew too much. He hated her too much. She must be smart, think fast, and save the explosive situation. From schoolmarm to dancehall slattern was not her idea of a successful future. Hats whipped back around as the women took a better gander at the tall-as-a-tree man with blue eyes the color of a storm-tossed sky. Mad. Angry. Furious. None was a strong enough word for the blaze in his eyes or his clenched fists. The ladies oohed and took the opportunity, maybe a once in a lifetime event, to ogle a surefire, handsome hero. Belatedly, obviously remembering his manners, the Viking whipped off his white, six-gallon hat, revealing close-cropped sandy hair, and gave a slight bow. Good manners didn’t extend to his scowl, straight brows meeting over hooded eyes. One long-fingered hand dropped near the pearl-handled Colt .45 he wore in a fancy tooled gun-belt that emphasized his narrow hips and muscular thighs clad in form-fitting Levi’s. A blue plaid shirt strained across his broad chest. Angel sighed. Last time she’d seen him, he’d worn a fringed leather vest, tight leather trousers, and an eagle feather in long hair bleached almost white by the sun. Cowboy gear suited him just as well. Even if he appeared thinner and a little pale, he couldn’t have looked more delectable if he’d tried. And that was exactly what had gotten her into trouble in the first place. To enter to win an eBook copy of Angel Gone Bad, just leave a comment for Sabine with your email address.